Repco Home Finance Ltd Recruitment 2017. Candidates age should be not exceeding 28 years as on 01-01-2017. Relaxation up to the age of 40 years can be considered based on commensurate, relevant prior experience. Candidates should possess any Graduation (10+2+3 format) from a UGC recognized university, fluency in English with relevant experience. Eligible candidates may attend for walk in interview with all original testimonials, experience certificates, last 3 months pay slip along with 1 set of photocopy, 2 colour passport size photos, ID Proofs and 2 sets of duly filled in Bio-data on 07-01-2017 between 10.00 AM to 4.00 PM. Date & Time of Interview: 07-01-2017 between 10.00 AM to 4.00 PM. 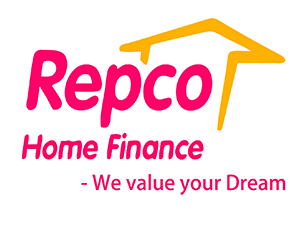 Venue: Repco Home Finance Limited 3rd Floor, Alexander Square No.2, Sardar Patel Road, Guindy, Chennai – 600032. For more details like eligibility, job description, key competencies & other information click on the link given below…. Click below link for notification.